Last month I made the ‘big switch’, cutting the cable delivered TV to ‘Streaming’. And in the process, discovered the world of OTT…’Over-The-Top’ advertising. In addition to the regular channels I previously received from my local provider, I am now able to access a host of APPS via the internet with roughly one zillion programming options. In addition to the Netflix and Amazon Prime and Hulu, streaming gave me options like the Roku channel which in turn gave me more options like Pluto, Vudu, YouTube, etc. etc. etc. I remember when TV was 3 local channels, ABC, NBC, and CBS. Now, this flat screen monitor has as many viewing options as I can Google on my computer. Talk about a learning curve! As I flipped through the various offerings, I found a source for old ‘Lost in Space’ episodes (Danger Will Robinson!) and settled in for some retro fun. As I was thinking to myself…self, who is going to pay for all this content being delivered, on pops a commercial for a local insurance company. In the corner of the screen, it said #1 of 4 commercials. And sure enough, three more thirty-second ads followed then back to being ‘Lost in Space’. Wanting to know how the ad message made its way to a streaming product from a channel named ‘Pluto’ I dialed up digital guru Bob Myhal at CBC and asked him for the low-down. Bob told me it was called ‘Over-The-Top’ advertising, known as OTT. In many ways similar to broadcast TV advertising, but the video ad content is delivered through streaming media via OTT platforms rather than thru traditional broadcast and cable networks. Aha! I knew someone would figure out a way to sell stuff to those crazy cable cutters! So I asked Bob some questions about the world of OTT advertising. Like, who is the target audience? According to Bob, its real power is not only the ability to reach cord cutters but to also utilize extensive demographic and behavioral targeting capabilities like reaching older folks like me who have money to spend and prefer to watch old episodes of ‘Lost in Space’ rather than some of the conventional drivel. When you think about it, it’s really a lot more ‘behavioral’ than traditional preference measurement. That requires the research folks to drill down to metrics of the typical ‘Lost in Space’ aficionado. 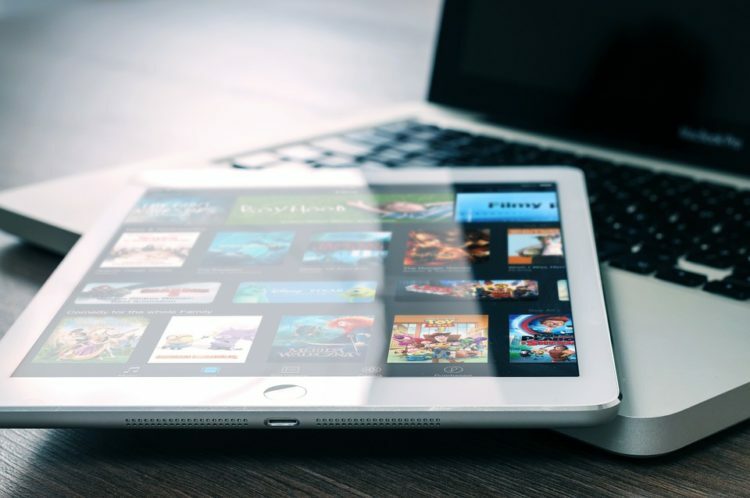 Instead of marketing to everyone in a given region watching a certain channel or show, OTT ads can target audience based on the specific parameters of those most likely to watch shows like ‘Lost’. The OTT model lets the advertiser drill down with laser focus on age, location, gender, known patterns and ‘spend-ability’. What the heck does this stuff cost? I asked Bob if OTT is cost effective. Bob believes it is, allowing advertisers to get in front of consumers most interested in content offerings and especially for event-based advertising. Bob laid out an analogy: Traditional broadcast media is like a billboard on a highway. Maybe 5% passing by are interested. With OTT there exists the possibility that you’ll be able to reach that 5% at a much more efficient CPM. While OTT may be more expensive on a cost per viewer basis than traditional the overall cost of effective delivery, the overall cost of a campaign reaching specific targets may be much lower. Bob says we’re in the first inning of a long game with OTT. Early adopters who understand the possibilities may benefit from the plentiful availability of inventory. I believe there is another benefit. I’ve noticed that many of the programs on certain traditional channels are loading down commercial breaks to the point where you actually forget what you were watching. In one recent program, I counted 19 commercials in a break. In the ‘Lost in Space’ episode, I watched there was a max of 4 per break and there weren’t that many breaks. How do you buy OTT advertising? Buying time is more like traditional broadcast buys than digital. According to Bob, many streaming media sources such as Roku and Chromecast provide their own platform for advertisers. OTT ad providers like CompulseOT, Premion, Hearst, and Spectrum Reach have developed effective working compacts with many agencies like CBC Automotive Marketing. Can you track OTT advertising effectiveness? Bob says many OTT platforms are introducing ad insight and analytics dashboards available to help measure performance and effectiveness. These analytics closely resemble tools like Google Analytics. It’s a good bet OTT ad tracking will merge with digital analytics in the near future since the quantity and quality of data available is similar. As cable company offerings increase with additional charges for multiple set cable boxes, you can see the writing on the wall. More and more people will ‘cut the cable’ opting to increase bandwidth of their internet speed and stream video to their sets. Personally, I know of at least 5 people who have done so in the past few months. As Streaming grows, so will OTT advertising opportunities. Recently I’ve noticed a number of webinars and workshops dealing with the intricacies of OTT Advertising. My guess is that within a relatively short time, OTT won’t be so ‘over the top’, but just another part of the world of digital-based advertising. Have a Happy, Healthy, Productive and Prosperous New Year!